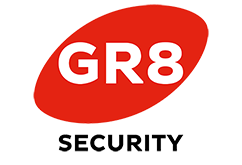 I understand that employment with GR8 Security Limited is subject to satisfactory references and security screening in accordance with the British Standard BS 7858. I undertake to co-operate with GR8 Security Limited in providing any additional information that is required. I authorise GR8 Security Limited to approach previous employers, schools, colleagues, character referees or Government Agencies to verify that the information I have provided is correct. I authorise GR8 Security Limited to obtain a Financial History Report from a reportable Credit reference organisation (Equifax/ Credit Safe etc). I understand that this information is strictly confidential in line with the current data protection regulations and GDPR and all information gathered will be treated with confidence. I hereby certify that, to the best of my knowledge, the details I have given in this application form are complete and correct.